If you read a lot of personal finance blogs, you’ll probably come across plenty of bloggers listing things that they’re willing to give up or sacrifice in order to get out of debt, or just get their finances in order. The ‘What I’m Giving up To Get out of Debt’ type of posts are my favorite because I’m interested to see what other people choose to sacrifice in order to improve their financial situation. Improving your financial situation requires some sort of sacrifice. It’s unlikely that you will wake up one morning with more money in your account and no mortgage if you don’t make a few sacrifices and do the work to get there. When you make unusual or sometimes drastic financial sacrifices, it’s likely that others will assume that you are unnecessarily depriving yourself from the ‘joys of life’. A sacrifice is defined as a loss or something you give up, usually for the sake of a better cause. It’s a choice you make often after you realize that your goals are more valuable than the initial sacrifice. Hence why sacrificing makes perfect sense from a financial standpoint, while deprivation on the other hand, doesn’t. Deprivation can be defined as the lack or denial of something considered to be a necessity. It’s easier to live with the fact that you gave up a non-necessity in order to reach a goal, but if you went without food, water, or shelter for an extended period of time you might not cope so well with those losses. Personally when I hear deprivation I envision someone who’s depressed or on the verge of starvation or something. Pain, suffering, loss, and emptiness are expressions that do not describe how financial goals are supposed to pan out, which is why sacrifice works and deprivation doesn’t. What Would You Give Up To Get Your Finances in Order? No matter what your financial goals are or where you are in your journey, you’ll probably have to ask yourself this question at least once or twice. The best way to determine what you should give up or sacrifice is to separate your needs from your wants and be honest with yourself. Do you need a 2015 Chevy Malibu that you can’t really afford? My guess is you don’t, but you may truly need a car to get you and your family from point A to point B. You can sacrifice simply by choosing an older or more affordable car or even saving up enough money to purchase a vehicle in cash. Do you need to cut your $400/month grocery budget for your family of four down to $250 just to save money? While everyone’s situation is different, food is a necessity and even though it’s possible to reduce your food spending, you’ll have to buy some sort of food in order to survive. Finding the best budget that works for your family will allow you to continue to eat healthy and well instead of cutting your budget down to an impossible and unrealistic amount. There are plenty of wants in life that we can painlessly trim down on without subjecting ourselves to deprivation. In this country we tend to walk around with a sense of entitlement, a lot. We feel that we deserve a brand new car for graduating college, a big house, a country club membership, and all that jazz. Entitlement tends to lead us into lifestyle inflation and debt. 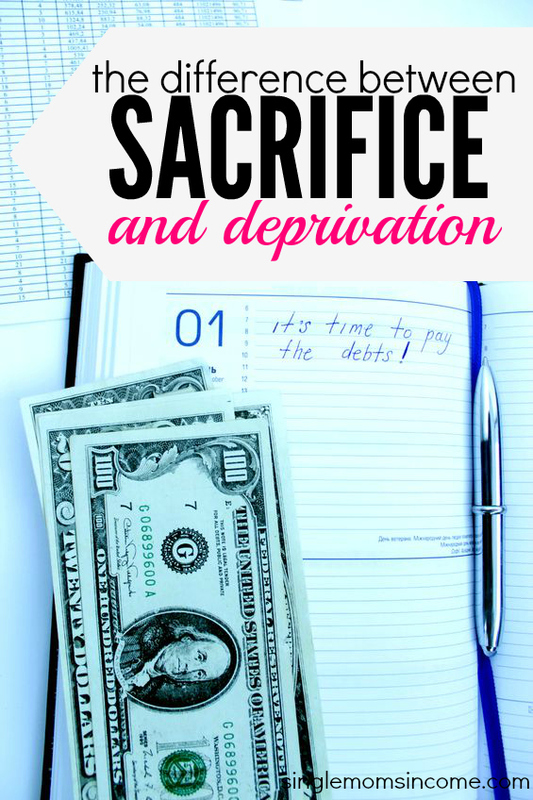 When you’re stuck in an entitled mindset, it can be easy to mistake someone’s sacrifices (including your own) for deprivation. In February, I posted about how I was choosing to give up clothes shopping for six months and go a month without spending any money on entertainment and dining out. When I reviewed how the month went, I brought up deprivation just to highlight how my sacrifices weren’t related to that concept at all. At the end of the day we will all feel some form of entitlement but it’s best to channel those feelings into hard work. If you feel that you deserve to dine out weekly after a busy work day or take 4 vacations each year, realize that those are actually ‘wants’, put your credit card away, and work for them. Increase your income by asking for a raise, starting a side-hustle, or taking on a second job. If you can currently only take care of your needs and a few financial goals, there’s always the option of earning extra to be able to include some of life’s luxuries into your budget. Treating yourself is extremely important when sacrificing, but with deprivation it’s unheard of. Even though sacrifice is all about giving something up and working hard to reach your goal, there’s no official rule that says you can’t acknowledge your progress and do something nice for yourself. Treating yourself doesn’t have to involve doing or buying anything major, but it is a great way to take a break and encourage yourself to keep getting closer to achieving your financial goals. What sacrifices are you making to improve your financial situation? Do you think being deprived and making sacrifices are similar or completely different? When I think sacrifice vs. deprivation, I think choosing to give something up rather than having to- it’s a powerful difference. I agree. I see my sacrifices as more of a choice but I know that some times it can’t always be like that. I agree with Stefanie, we are actively making a choice to do something. To spend or not to spend. So, in that framework we’ve empowered ourselves to make a decision. Since we made a decision I don’t think it’s sacrifice or deprivation-it’s a choice. I don’t think anyone chooses to deprive themselves, but someone can choose to sacrifice something. In other scenarios, sacrifice may not be as much of a choice. But it’s definitely clearer when it is. Setting a big goal is important, but so is setting and celebrating milestones along the way. Think of weight loss. I’m convinced that many people fail because they set one big goal and once it doesn’t happen right away, they give up. Instead, if they set smaller goals that can be reached along the way, it would keep the goals ‘in reach’, and as each one is reached, it renews the motivation to continue. The same concept applies in personal finance with things like reducing debt or saving for a big goal. I’m big on setting smaller, more attainable goals even though I’m the person who always wants to see the end result. Recognizing milestones as I move closer to reaching my overall goal gives me motivation to keep pushing forward and voluntarily make sacrifices to get there. I treat myself with Starbucks too since I cut back a lot of getting coffee there and just stick to making it at home if I need it. So if I ever grab Starbucks every now and then, it’s definitely a treat. I agree that the time frame is a crucial factor. But since sacrifices can be more of a choice involved you have more control over how long you plan to cut something out of your daily routine. The phrase “deprivation” has always rubbed me the wrong way when used with regards to finances. In our first world comfort we don’t really have any idea what deprivation is. We give up some things that our culture deems necessary, but I don’t really feel like we sacrifice in any way. I’m so thankful that we’re able to live in a place where we can set huge money goals and actually attain them. I agree, we probably don’t even understand what is means to be deprived and our sacrifices probably seem trivial to people in other countries. I’m extremely grateful to have an opportunity to improve my life and be able to reach my goals. It’s something that no one should take for granted. relatively such as zombies oozing together with brillianceGarth Brooks announced that he or she conclude his threeyear diamond from Wynn Las Vegas at Late seventeen. Own extensively savored the period with Wynn. Mr. Though right now there may be other things to understand and also enjoy regarding Celine Dion, people should be able to obtain good have a look at your performer by this part. The actual exhibit functions point items this go and a gentle plus video clip show that’s designed per song. Learning tips and tricks to save money, earning a bit more, less sacrifice and spending money wherever necessary is what everybody aims for. 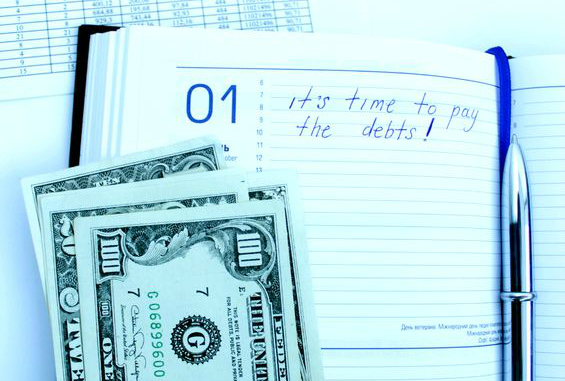 Creating a budget is a great way to save money and get things organized. Knowing the amount of money that is coming into your home and how much is going out is vital of smart financing. Know ways to make money online quickly. I agree with the comments above that most of us have never experienced true deprivation, but it is so easy to feel deprived when you are surrounded by others spending freely and bombarded by advertising. On the other hand, a bit of sacrifice to reach a goal is really satisfying. To me its kind of like dieting – nothing crazy strict, the odd treat but don’t go into the danger zone of using spending as a reward.